Rich and coconutty, dense and moist, this is the coconut cake of your dreams. This Chocolate Coconut Cake is just as fun as the name makes it sound! There is a little bit of something for everyone in this cake! It’s totally outrageous – just like its name – but also totally awesome. The dense chocolate with the creamy coconut is wonderful. So, good and totally worthy of your next big occasion! Grab a glass of cold milk or a hot cup of coffee and tuck into this decadent treat. This will help you in making the Birthday of your loved ones a day worth cherishes. 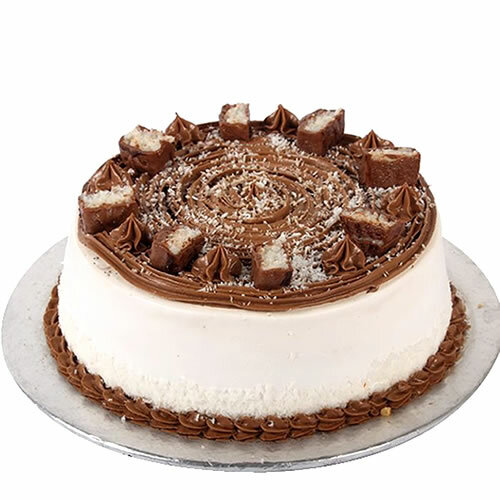 Send this beautiful and yummy coconut chocolate cake quickly with our same day and midnight delivery to add sweetness to every celebration.